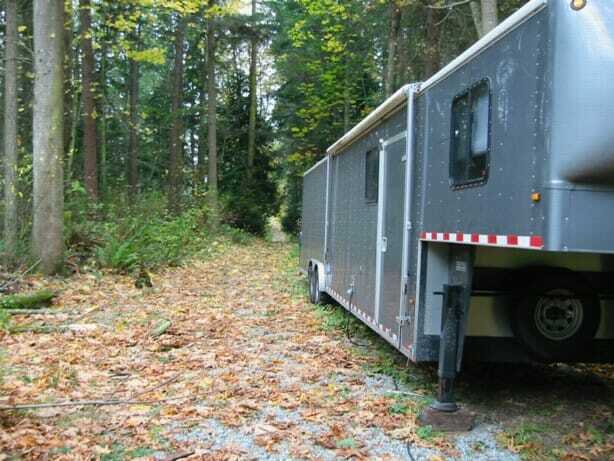 In 1999, the Microship project was in full swing in the Camano Island lab, and I periodically loaded up the mothership (a 44-foot Wells-Cargo fifth-wheel trailer towed by my Ford truck) to haul BEHEMOTH and in-progress nautical machinery around the US on insane, whirlwind speaking tours. 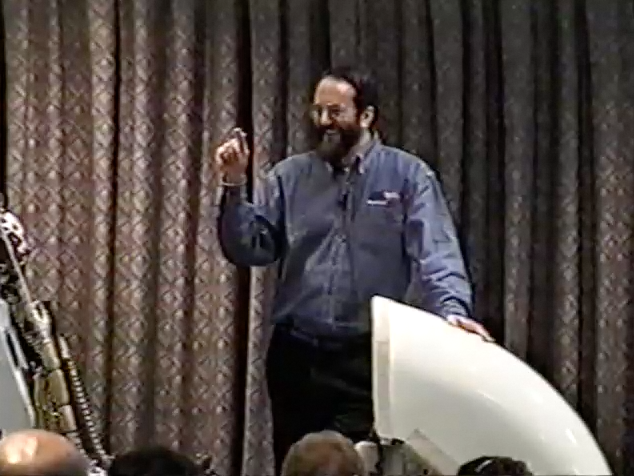 This one was particularly fun… an after-dinner talk to a friendly engineering crowd, with a clean video capture. By this point, my stage presentation was smooth and relaxed, so this is one of the better records of speaking gigs with the bike. 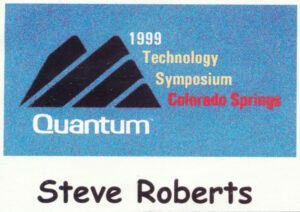 I didn’t know it at the time, but this talk was just about the end of an era. For various reasons, the tours dropped to a trickle over the next year (with the dotcom crash sounding the final death-knell to this business model). But for a while there, it was a feast… taking off every few months for a whirlwind drive around the country, stitching together gigs ranging from deep-pocket corporate events arranged by my speaker’s bureau to informal visits with companies and universities via friends on my sprawling mailing list. 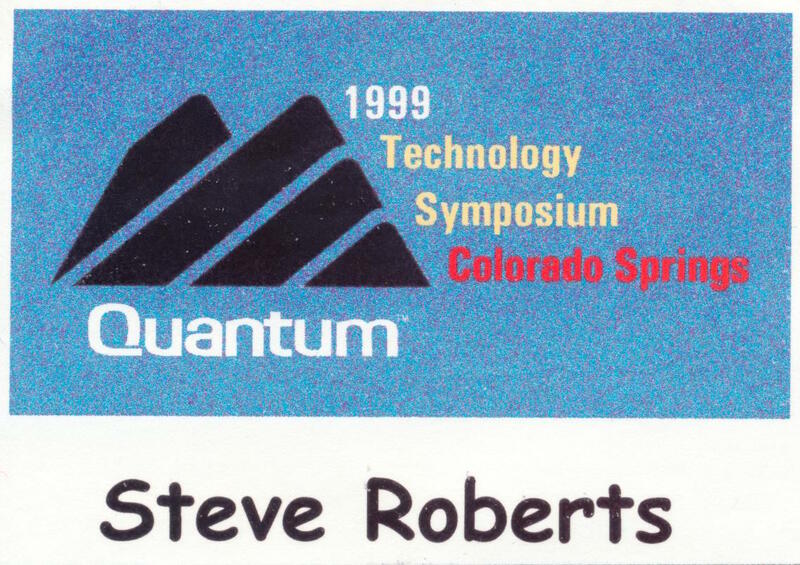 This had a lot to do with funding the Microship project, and I still have T-shirts and other schwag from that era, decades later!